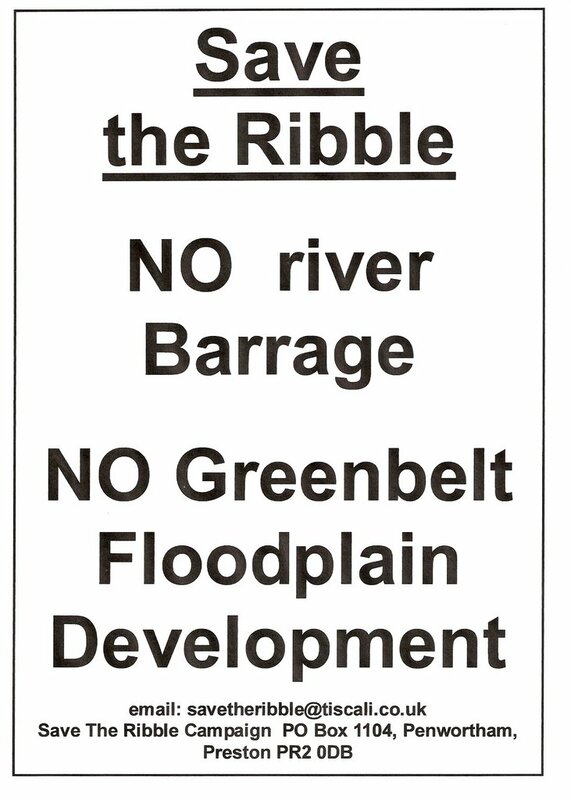 When we at “Save The Ribble’ first began our campaign almost a year ago exactly, we thought we were just an isolated case of a local community and it’s river under threat from an undemocratic alliance of local politicians, officials and developers. 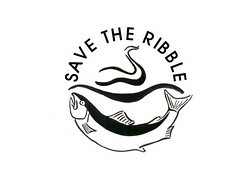 As we have continued our campaign, we have quickly learned that we are not on our own, and that all around the world, rivers, the people who live nearby and the eco-diversity they support face very similar challenges to those faced by the people living near the Ribble. “The more that is known about the Traveston Crossing Dam proposal on the Mary River, the worse it looks Queensland Premier Mr. Peter Beattie announced on Thursday, 27th April 2006 that the Queensland Government proposes to build a mega-dam (more than 1.3 times the area of Sydney Harbour) on the Mary River at Traveston Crossing that will inundate the central Mary Valley in Queensland's Sunshine Coast hinterland and re-direct the water of the Mary River catchment into Brisbane. Until the announcement, no information had been made public about ANY planning procedures or studies to justify the decision. There had been absolutely NO public consultation with any of the local stakeholders regarding this decision before the announcement. The State Government's own scientific evidence indicates that this proposal would seriously degrade the 200km of river downstream of the proposal and greatly effect the Great Sandy Straits by stopping all fresh water flow to the sea from the river for a significant proportion of the time. Independant economic analysis now shows that the proposal is an extremely high risk, high cost strategy compared to other viable means of providing for urban water supply in SE Qld, and would produce water that will cost the public significantly more than most of the other viable options investigated. 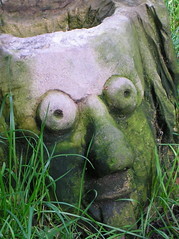 Reputable academic studies assessing social impact of the way the project has been implemented to date have been condemnatory in their conclusions. It still looks as if the decision to spend billions of dollars of public money on a potential environmental and social disaster has been made on the basis of political expediency rather than good science, engineering and planning. Meanwhile people in the La Plata Basin in Paraguay are resisting plans to turn their river into an industrial shipping channel. The preservation of wetlands is also a key issue for the future of the Ribble - these would be drowned upriver of a barrage, and starved of the silts that nourish them downriver. “The (three gorges) project has been plagued by massive corruption problems, spiraling costs, technological problems, human rights violations and resettlement difficulties. One million people have been displaced by the dam as of 2006; many are living under poor conditions with no recourse to address outstanding problems with compensation or resettlement. Said one peasant from Kai county, "We have been to the county government many times demanding officials to solve our problems, but they said this was almost impossible. They have threatened us with arrest if we appeal for help from higher government offices." 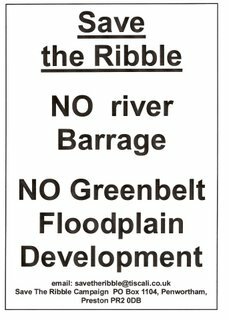 This is very similar to the potential consequences of a Ribble barrage, which would cut of the flow of silts to the environmentally significant Ribble Estuary and the Ribble Estuary Wetland Park. There are also campaigns sparking off to destroy existing dams and barrages; the American group Taxpayers for Common Sense argue for the destruction of 4 dams on the Snake River. The sooner the dams are removed, the better. They are the key barrier to a crucial ecosystem – the pristine fish spawning grounds above the dams and the estuaries that lead to the Pacific Ocean. Environmentalists, Native Americans and commercial and sport fishing interests all have a special interest in the fish and the ecosystem. Around the world, experts and now some governments are beginning to realise that as well as being environmentally destructive, and socially damaging to local people BARRAGES AND DAMS ARE EXPENSIVE - they neccessitate dredging and groundwater pumping which can cost £millions every year - of course it is the taxpayers who end up carrying this economic burden, when the developers have long since departed, with pockets full of cash. It is great to know we are part of a worldwide pro-river movement, and we are sure that if enough people mobilise and explain the true social, economic and environmental costs of barrages and dams, we can gradually turn the tide against unsound and irresponsible dam and barrage projects, including the Riverworks Barrage. Thank you for raising awareness of the problems we face world wide. The authorities need to take notice and stop destroying rivers. Keep up the good work.